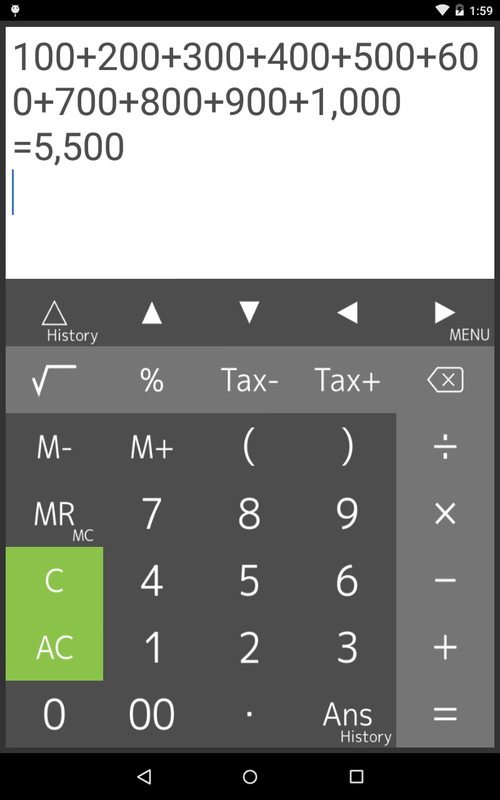 The PanecalST is a calculator that equipped with multi-lines display and easily editing using by cursor. You can calculate a price including tax, percent, store value to the memory and so on. 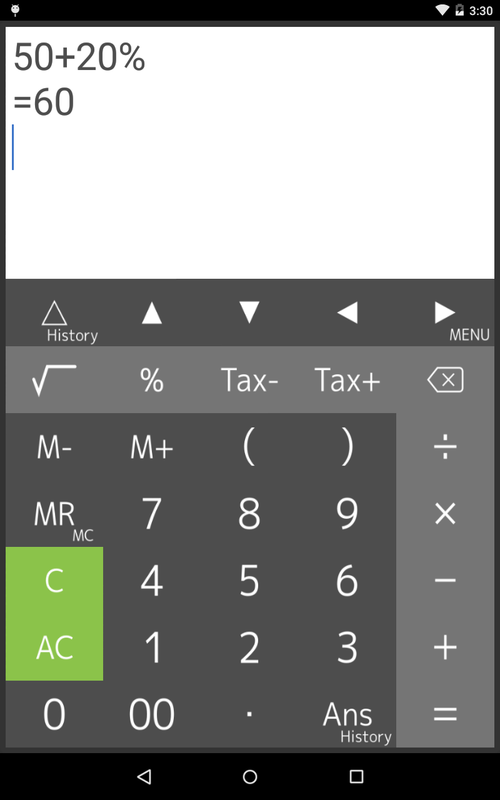 The design of the PanecalST is very simple and basic calculator, but the PanecalST has some powerful and useful functions such as cursor expressions editing, last answer, answer history, re-play of expressions. The PanecalST can indicate long expressions on the display. If you may mistake to input expressions, you can correct this expressions easily and quickly using by BS(back space) key, arrow keys and C(clear) key. The PanecalST can indicate expressions that you inputted in the recently using by re-play key. If you long-press re-play key, a table of the expressions history is available. The PanecalST can indicate last answer that is result of last expressions using by ans key. 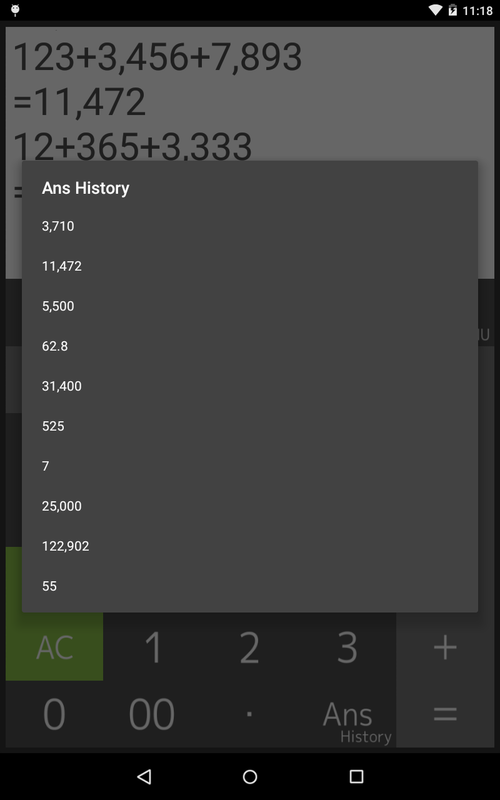 If you long-press ans key, a table of the last answer history is available. The PanecalST can calculate expression include percent. 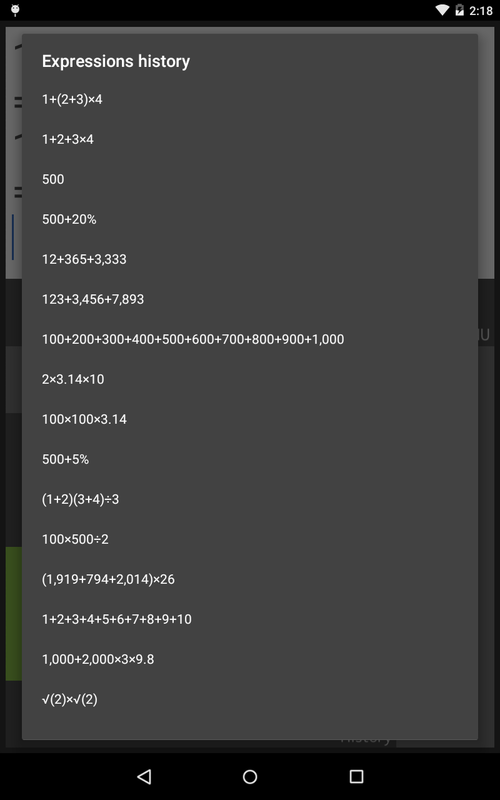 If you would like to calculate “20% more $50”, you can input 50+20% and get a result. 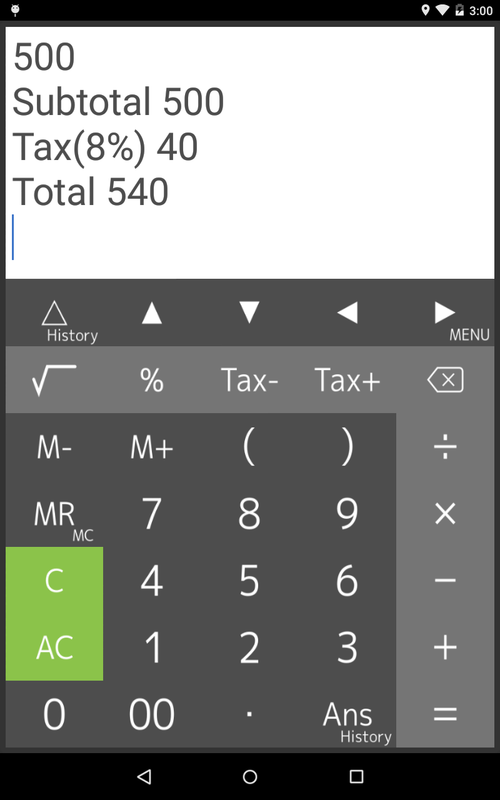 The PanecalST can store tax rate in the setting. And you can get price including / excluding tax easily and quickly using by Tax+/Tax- keys. Please note in advance that Appsys is not responsible for any damage or lost profits caused by the use of this software, or any claims from third parties.